MANY CASES OF 'DEMENTIA' ARE ACTUALLY SIDE EFFECTS OF PRESCRIPTION DRUGS OR VACCINES. The “quick facts” provided by the Alzheimer’s Association are pretty concerning: More than five million people in America are living with Alzheimer’s, and that number is projected to reach 16 million by the year 2050. As the sixth leading cause of death in our nation, it kills more Americans than prostate cancer and breast cancer combined. Someone in the U.S. develops Alzheimer’s every 66 seconds; will you be one of them? With statistics like these, it’s no wonder that people want to do everything they can to reduce their odds. However, it’s also important to note that Alzheimer’s is only one of the potential causes of dementia. While many people use the terms interchangeably, Alzheimer’s is really only responsible for around 50 to 70 percent of dementia cases. The misleading terminology is obscuring one very dark fact about dementia: Many times, it’s being caused not by something scientists are still struggling to understand like Alzheimer’s but rather by things that are masquerading as tools for good health; vaccines and prescription drugs. In fact, the Alzheimer’s Association that publicizes these statistics is subsidized by Big Pharma. It’s simply good business sense that they want people to believe that every memory-loss patient falls under the Alzheimer’s umbrella because then they can sell you drugs that purportedly address it. Their research has led them to an approach that pays dividends: promoting and destigmatizing what many think of as “mental illnesses,” making them seem unpreventable but manageable with drugs. 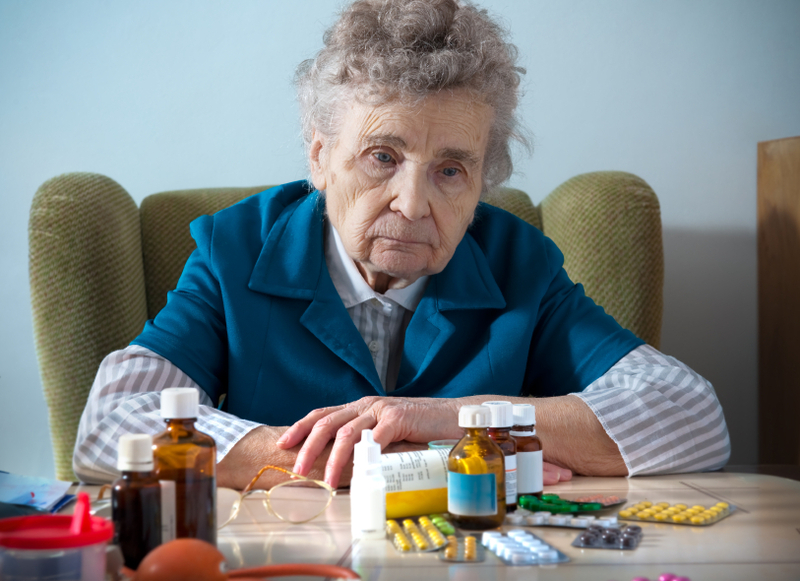 Many people who work for the Alzheimer’s Association and similar organizations are well-meaning people who want to help and are often unaware of the connection to Big Pharma. It’s no coincidence that dementia cases have been spiking during the same time that children and adults alike are being over-vaccinated (flu shot, anyone?) and the over-prescription of brain-altering drugs like antidepressants is prevalent. A help guide based on a Harvard University report admits as much. According to the report, “medications are common culprits in mental decline.” As the body ages, the liver’s efficiency when it comes to metabolizing drugs declines, and the kidneys do not eliminate them as quickly as they once did. This causes the drugs to accumulate in the body, which means those who take multiple medications are particularly susceptible to this effect. Included in the list of drugs published in the guide that cause dementia-like symptoms are antidepressants, anti-anxiety medications, sedatives, corticosteroids, narcotics, antihistamines, cardiovascular drugs, and anticonvulsants. It’s a very broad range of drugs, and many elderly people take medications from one or more of those categories. In fact, you might want to go check your medicine cabinet right now. A study published in JAMA Internal Medicine correlated the use of popular medications like Benadryl and other anticholinergic drugs with dementia onset. According to the researchers, patients who took these medications for three years or more had a 54 percent higher chance of going on to develop the disorder. Vaccines are also responsible for causing symptoms mistaken for dementia. People in their 40s are increasingly being diagnosed with “dementia,” and experts believe that environmental factors must be responsible in these cases. Mercury-containing thimerosal was used widely in childhood vaccines until 2001 and remains in some vaccines, including flu shots, to this day. A study published in the Journal of Alzheimer’s Disease found that exposure to mercury could produce many of the changes that are seen in Alzheimer’s patients, including impaired cognitive function and memory as well as confusion. Another common ingredient found in vaccines, aluminum, has been linked to dementia as well. It’s a pretty smart way to keep the profit machine turning for Big Pharma: Convince people they need vaccines or drugs, and when those vaccines or drugs cause further side effects and illnesses, sell them even more drugs to counteract them. And the best part for them is that because mental decline is involved, it reduces the chances that people will wake up to what is really going on here. Read Brain.news for more coverage of medical discoveries about the brain.